SEO (search engine optimization) falls into two categories: on-page and off-page optimization. Off page optimization deals majorly with backlinks aka inbound links. Backlinks are simply incoming hyperlinks coming from other websites to your site. Building backlinks for your site can help you rank higher in serp (search engine result pages) if done the right way. We have two major backlinks which are “Nofollow” backlinks And Dofollow backlinks. According to researches I’ve made online, these two types of backlinks are must-have for all websites that want to show up higher in serp. The two works together. You must have both nofollow and dofollow as it helps you in serp. Having tons of one over the other might hurt you in SERP. So, mixing both nofollow and dofollow backlinks makes sense. To get site where you can submit guest post just google search “List of site that accept guest post”. Be careful though, because bad guest posting activities can hurt your site too. Don’t spam the forums though as google can easily figure this out and nail you. Only add links to your comment if the thread is related to the links you want to add to the comment. If you’re chosen as a source, you have the opportunity to ask the reporter to include information about you and your blog. As you can imagine, it’s a popular site both for reporters and would-be sources because everyone is winning in that formula. Another way is to target a high PR site lets use wikipedia as an example. First you must be registered on wikipedia and search for dead links in some of its pages. If Wikipedia approves the link after review, then you’ve just gotten yourself a quality backlink. Mind you, it might take some days before Wikipedia will review the link. Please, buying backlinks is a NO NO. Just my two cents. 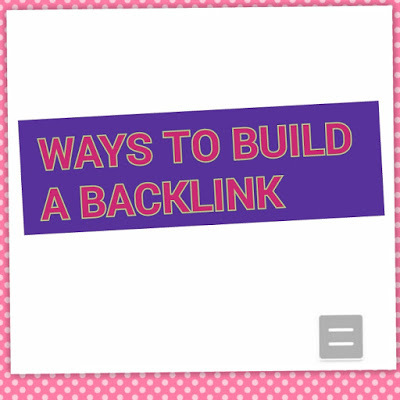 If you know other ways of getting quality backlinks, kindly share via comments.